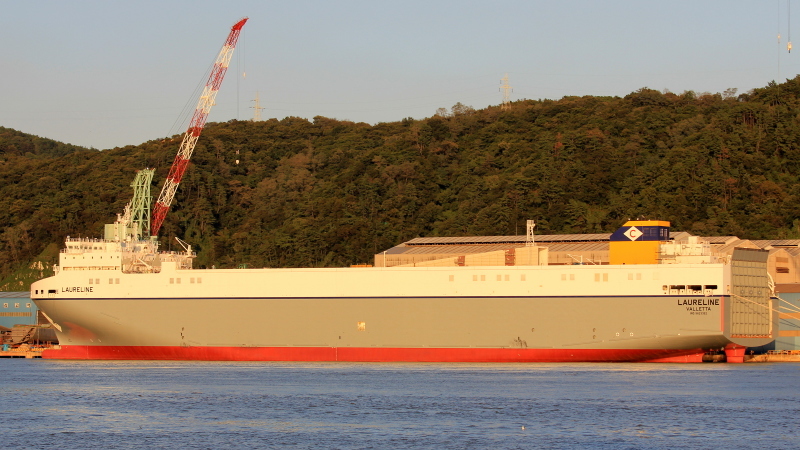 Another Ro-Ro for Cobelfret fitting out at Hyundai Mipo Dockyard in Ulsan. Hi. LAURELINE is in route to Vigo, Spain (ETA 22.02.19). 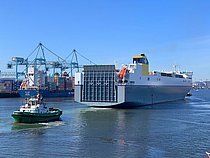 Can anybody inform me if this ship was ordered by a Spanish owner? Thank you! Good news. Hopefully something new to see if they get used on their Purfleet run. Seems to be first of a serie of four: Laureline, TBN, Sixtine, Hermine, yardnumbers 8252 till 8255, about 5.400 m lanelength. Yes, I'd say she's missing Celine's highest deck with those large openings/windows. Appears to be smaller than the previous two? A deck less maybe? This photo has been shown 2,001 times since it was added to the site.